Audi's Q5 is one smooth mover. RED soft sand, rocks interspersed by saltbush overseen by towering hillsides and an unforgiving sun. The Flinders Ranges in South Australia is not a traditionally a plush destination. 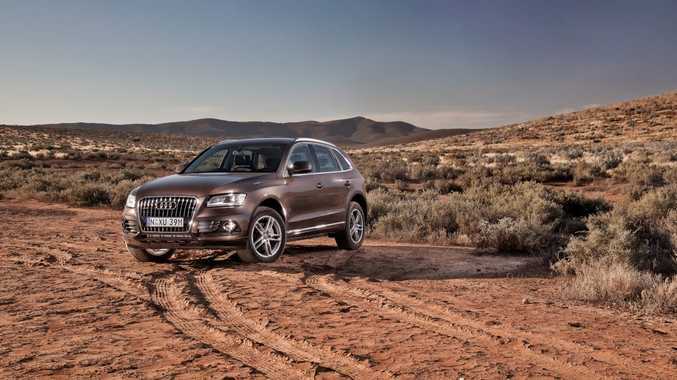 Yet Audi's Q5 had an ability to tame the terrain and iron out the beaten track. Updated with a minor facelift, a range of extra features and four new engines, the latest iteration of Audi's most popular sports utility ensures the four rings will hit the ground running in 2013. It's the biggest seller among the medium-sized premium SUVs and armed with a range of new features could well become Audi's number one seller next year. Entry-level prices have remained the same, but Audi estimates its four-cylinder models get about $6500 worth of extra gear, while the six-cylinder variants have an additional $7000 in standard equipment (for a rise of $500 in the diesel and $1100 for the petrol). Nothing much has changed inside, apart from some material improvements with the door inlays and different finishes on the dash. It's a familiar feel with the Q5's layout functional and crisp. Electrical adjustment of the front seats is now standard across the range which makes getting a good spot behind the wheel simple. The seats are nicely supportive, although we could be easily lured to option the S line sports package which provides figure-hugging bucket seats and a wonderful flat-bottom steering wheel and a range of other athletic trinkets. Front and back offers good head and legroom - as long as the front passengers don't slide the pews rearward too far. There are four cup holders, two in the dash and two in the back arm rest, while each door can cater for bottles (1.5-litre or wine). Somehow, the engineers keep finding sizable efficiencies and greater performance. This latest batch of powerplants are up to 15% more economical than their predecessors. To be fair, there's not a bad engine among them. All achieve impressive performance and we could easily live with any of the four. swifter than the equivalent oil-burner over the 0-100km sprint. The 3.0-litre pairing offer some savage acceleration and would be the choice for those seeking immediate response from beneath the right foot. With an ability to corner flat and fast, the Q5 is an impressive thing. You can cruise on the highway with revs under 2000rpm at 100kmh (in all engine choices), while also step off the bitumen with 200mm of ground clearance and short front and rear overhangs. Like just about all premium offerings, there is a massive options list. You can customise the Q5 in just about every way, but you have to pay for the privilege. Also in the running are the BMW X3 (from $59,000), Range Rover Evoque AWD 5D (from $59,895) and Volvo XC60 AWD (from $59,990). A range of measures have been implemented to reduce fuel consumption, including electromechanical steering, stop-start, braking energy regeneration and Drive Select (which includes an efficiency mode, along with dynamic, comfort and automatic options). The diesel engines average under seven litres for every 100km, while the petrols are about eight. Insurance and servicing costs would be worth investigating to avoid any shocks post-purchase, while resale has been strong on the Q5s. 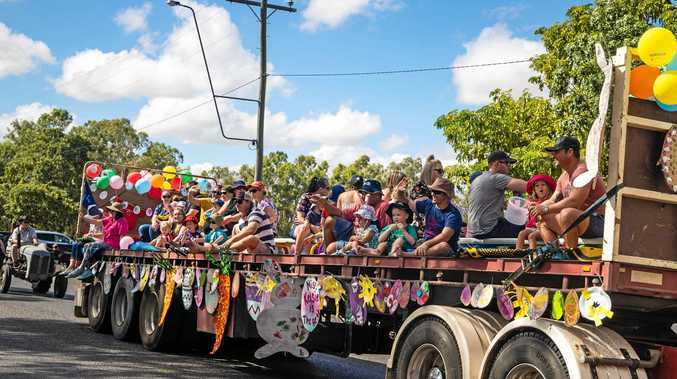 Families find the Q5 to be a perfect fit, with easy access to the child seat anchorage points, along with the 40-20-40 rear seat fold functionality. The rear seats also fold flat for improved cargo carrying space. A feature is the cross bar for the roof rack, and there are several options for carrying equipment. The Q5 is an attractive piece of gear. You can spot the new model over its predecessor courtesy of the chrome grille, flat exhaust tips, black Quattro badge and the new LED running lights - which are in a rectangular shape and are more homogenous (the dots are banished). Sleek external lines provide an imposing silhouette from all angles. The good stuff: Outstanding performance with all engine variants, improved standard equipment list, no price rise on entry-level models. What we'd like to see: Cheaper options, more interior personality. Warranty: Three years, unlimited kilometres. Servicing is every 15,000km.